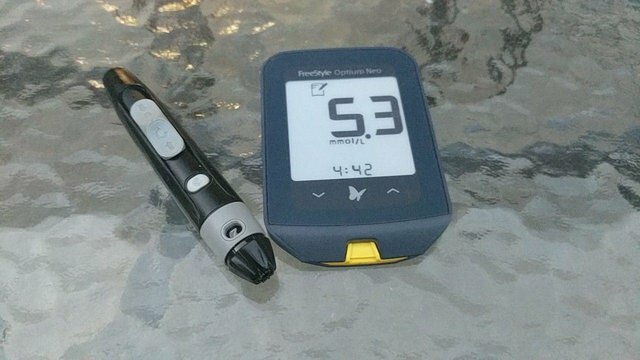 My diabetes story - Part 1: DiagnosissteemCreated with Sketch. This is part one of my story, where I find out I have diabetes. This is my story about my journey to diabetes and back. It's what happened to me, and I'm not saying that this same thing will work for everyone, but I hope that if you're out there suffering through this insidious disease, maybe you can consider doing something similar and it works for you too. I will split this into multiple parts and post as I write them up. I am not a dietician nor a doctor, but there are plenty of freely available resources you can check out online from actual doctors that may help you. I am a Type 2 diabetic, I actually got diagnosed quite late, and by the time I finally forced myself to see the doctor, I was starting to lose my eyesight and feeling in my feet. The doctor sent me for a blood test and my fasting blood sugar was > 30 mmol/L (540 mg/dl). They send me back for an OGTT (oral glucose tolerance test) and sure thing, it's confirmed. I'm trying really hard at this point to be calm and not freak out too bad. I was an atypical diabetic, at 185cm tall (6 ft) and with a weight of 80 kg (175 lbs) and body fat of around 25%. One of those that don't get diagnosed because I don't look like it. As is typical in these situations, the news that I was diabetic was quite shocking to me and I followed the doctor's advice religiously, following the dietary meal plans given and taking the pills recommended. Despite being diagnosed, I really had no idea what was in store for me or how serious what I had really was. The doctor, dietician, and diabetes specialist were all very positive about it. “Don't worry, diabetes is survivable if you can manage it properly”. I came out feeling really positive. Just take the pills, eat a proper diet, this is all sorted. Right? Everything's going to be okay. All I need to do is follow the plan, and everything will be back to normal in no time. Next part is Part 2: The Plan, where we work out exactly how we're going to beat this thing. As they say, no plan survives contact with the enemy and that's certainly the case here.